Really good! Also very oniony do not for the faint of heart. This was lovely. Used cottage cheese in place of ricotta as per recipe. It’s shorter than some other lasagnes. In 1974, Mollie Katzen hand-wrote, illustrated, and locally published a spiral-bound notebook of recipes for vegetarian dishes inspired by those she and fellow cooks served at their small restaurant co-op in Ithaca, NY. Several iterations and millions of copies later, the Moosewood Cookbook has become one of the most influential and beloved cookbooks of all time—listed by the New York Times as one of the best-selling cookbooks in history, inducted into the James Beard Award Cookbook Hall of Fame, and coined a Cookbook Classic by the International Association of Culinary Professionals. Mollie’s Moosewood Cookbook has inspired generations to fall in love with plant-based home cooking, and, on the fortieth anniversary of that initial booklet, continues to be a seminal, timely, and wholly personal work. 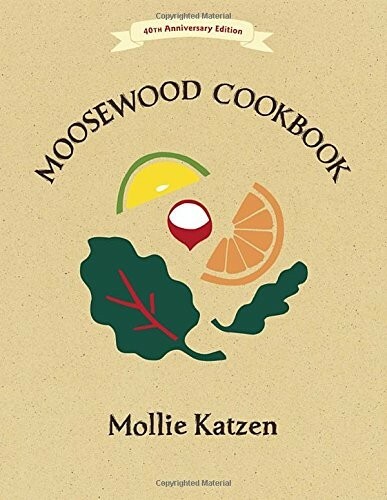 With a new introduction by Mollie, this commemorative edition will be a cornerstone for any cookbook collection that long-time fans and those just discovering Moosewood will treasure.